Zebco turns catching catfish into kitten's play. 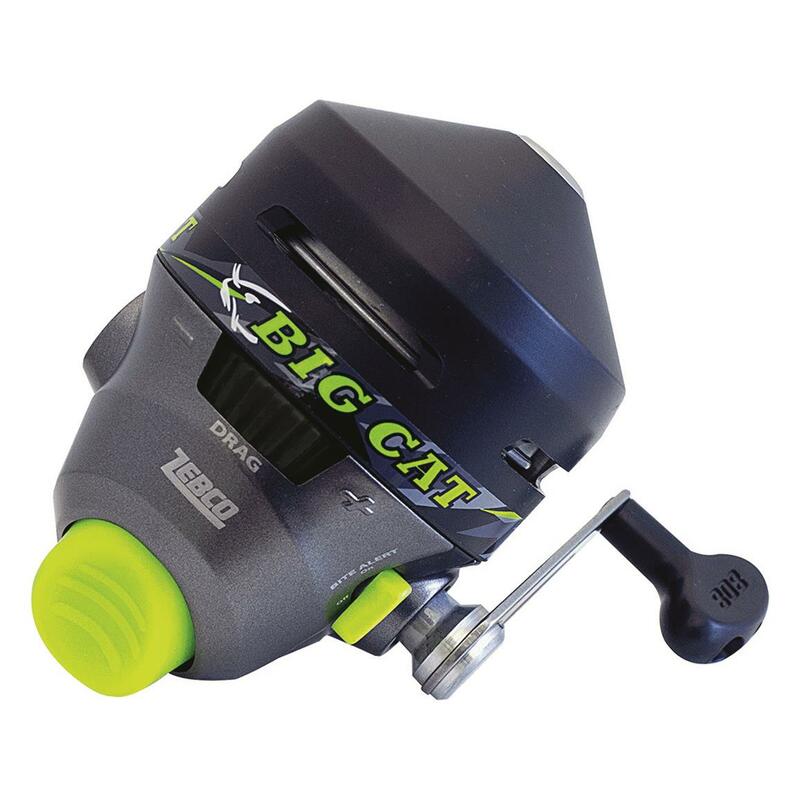 Fishing for catfish has never been easier to start thanks to the Zebco Big CatTM Spincast Rod and Reel Combo. Catfish are the second most fished for freshwater species and Zebco quality is second to none when you need a rod and reel combo to go after them. 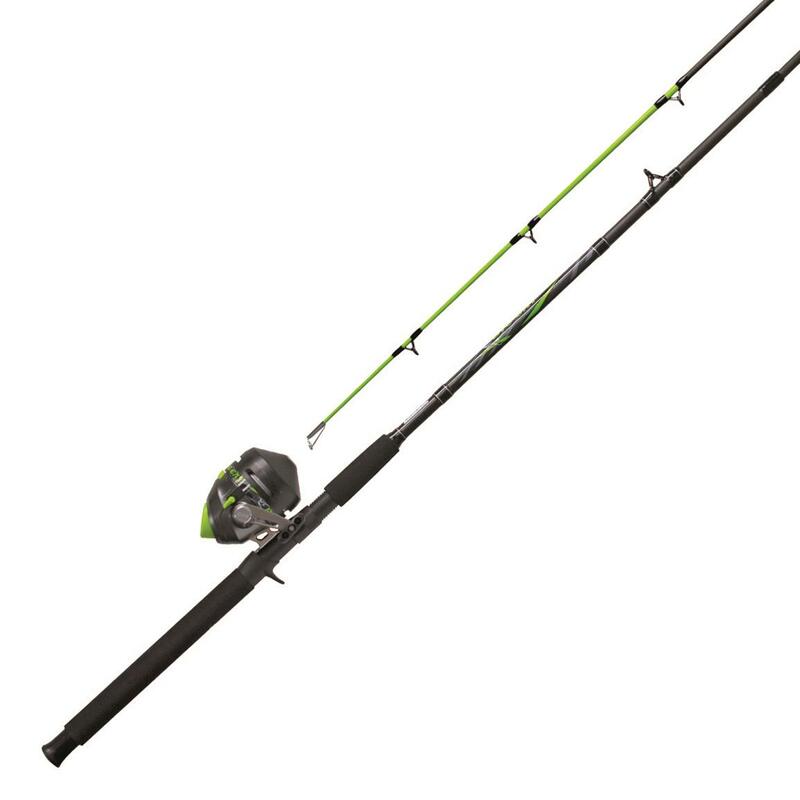 The Big Cat 7' Rod features a durable glass blank, EVA handle and high-vis glow tip that's perfect for night fishing. Plus, the tip guide is made of solid stainless steel for extra strength. 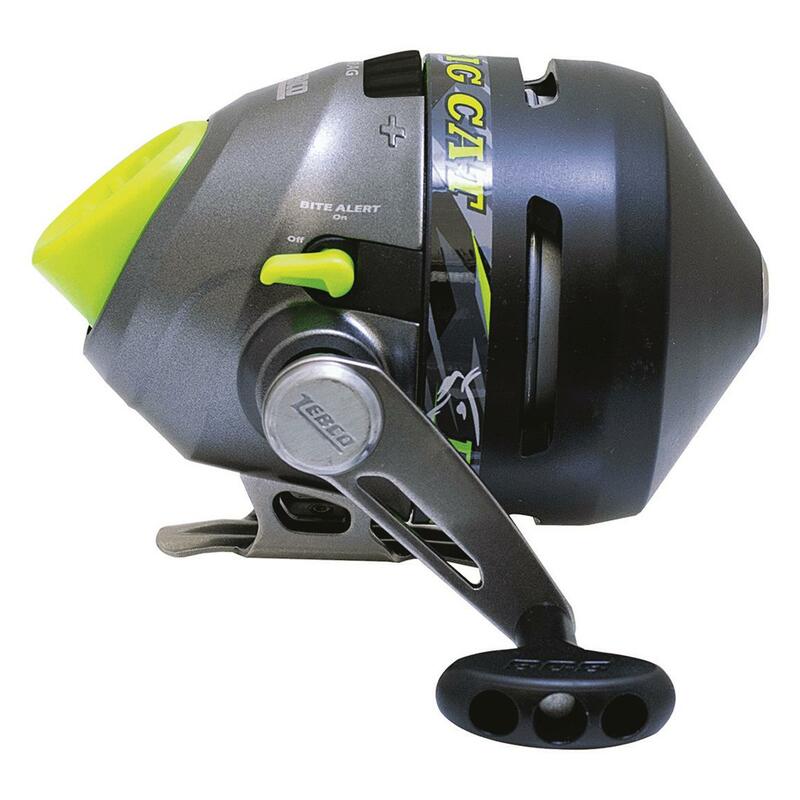 The Big Cat Spincast reel features QuickSetTM Anti-Reverse, all metal gear system, dial adjustable drag, built-in Bite AlertTM audible clicker and changeable right or left hand retrieve. QuickSetTM Anti-Reverse and dial-adjustable drag quickly allows you to engage and increase the tension to just the right level to tire out a "river monster"
A built-in Bite AlertTM audible clicker lets you know when a bite happens you'll have time to firmly set the hook. The changeable retrieve means even left-handed fisherman can have the right reel. 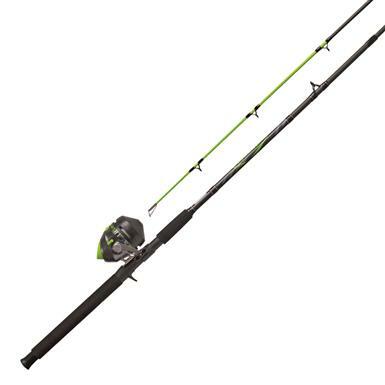 Zebco Big Cat Spincast Rod and Reel Combo is rated 3.7 out of 5 by 3. Rated 1 out of 5 by Jamie B. from ROD ONLY I'm torn to be writing a bad review about a Zebco product. But here it is, I recently purchased the Big Cat rod and reel combo and after 1 use and a 14lbs. catfish my rod cracked at the base of the rod where it meets the handle. It was very up setting and surprising. I tired to return it but the store said that it's a odd and unusual break and would not replace it. So now my awsome looking Big Cat reel sets on a old Zebco Catfish fighter rod I bought in 2002. I'd still recommend any Zebco products to all my friends, just so torn on this review. Tear 'em up inshore and near shore.